Vehicle transfers involving dependent patients are one of the most complicated and precarious tasks for healthcare facility staff. 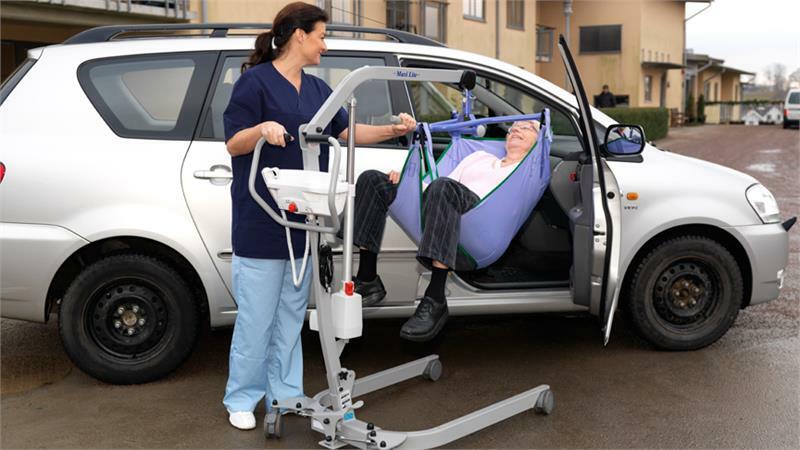 Limited space and awkward body mechanics make this kind of transfer particularly difficult for caregivers. 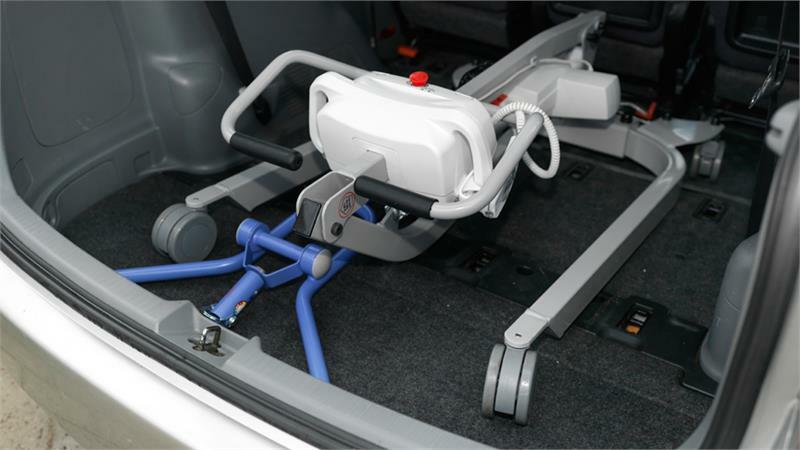 Maxi Lite™ is a portable lifter that ensures vehicle transfers are always comfortable and safe routines. The lift's remarkably small footprint does not compromise its high lifting stroke - as the unique flat manual spreader bar enables both a higher lifting height, as well as sufficient legroom for the resident/patient. Due to Maxi Lite's flat design, the hanger bar is optimal for reaching in through car doors, thereby enabling safe and efficient car transfers. Maxi Lite is equipped with both pillar-mounted and handset controls - for ease of use during all activities including bed, wheelchair and vehicle transfers, as well as lifting from the floor. The adjustable chassis legs enable the lift to easily pass through standard doorways and to fit around armchairs and wheelchairs during transfers. 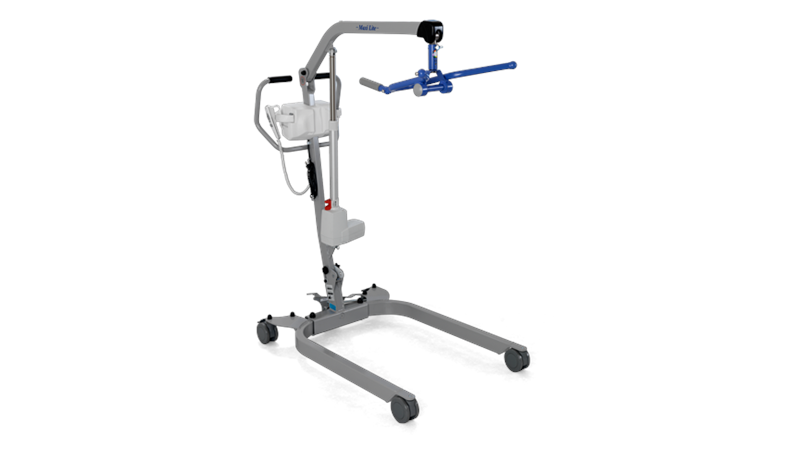 In the emergency room, patient homes and nursing facilities, the Maxi Lite is the ideal lift for all daily lifting requirements. It performs general lifts, such as bed to chair, chair to toilet, chair to car, and from the floor, with ease. When not in use, the lifter folds up into a compact unit for easier portability and to reduce required storage space. The adjustable chassis legs enable the lifter to pass through standard doorways and to fit around armchairs and wheelchairs during transfers. 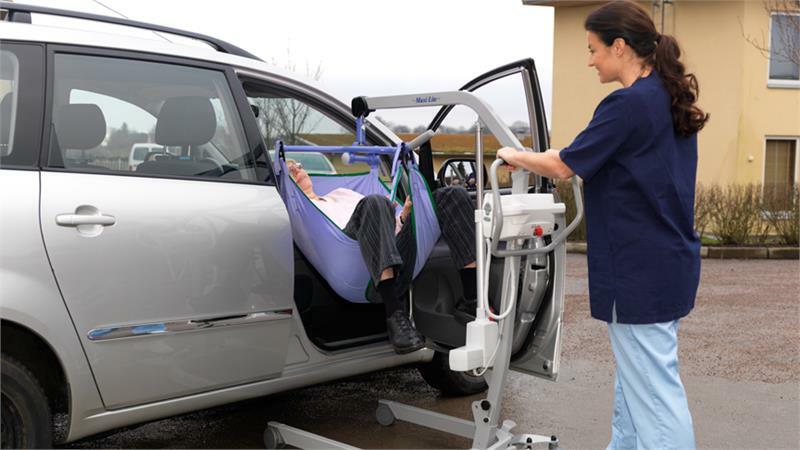 The flexibility of Maxi Lite, with it's remarkably small footprint and the possibility to fold it up to fit in small places like a car trunk, makes it a perfect lift to support all daily lifting needs. The manual flat DPS hangerbar in combination with the distinctive clip slings provides optimum support and stability, giving the patient a feeling of security and safety during all supine and seated transfers. Also available with a two hook loop sling hanger bar, Maxi Lite offers full flexibility for caregivers that wish to work with loop slings instead.